With the new website, we have also created a brand new Mobile App. With the new app you can read News stories, check out the next school event, check out Athletic schedules, check the dining menus, get live alerts and much more. 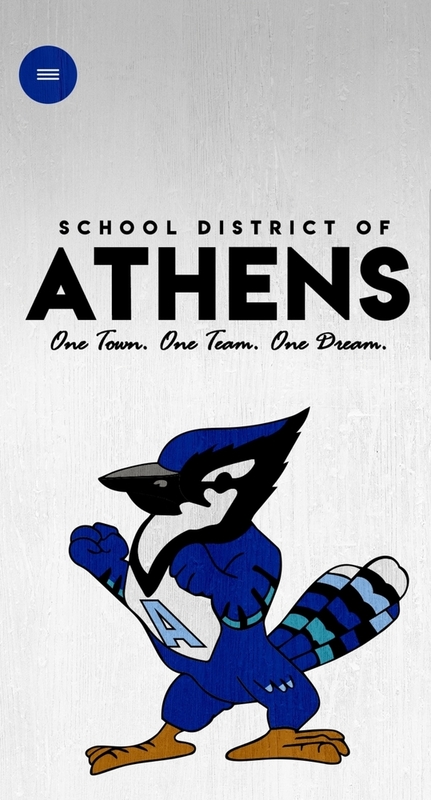 The new School District of Athens, WI mobile app is available in the Google Play Store and the Apple App Store by searching Athens Apptegy or by clicking on the apps at the bottom of the home page. Download it today!